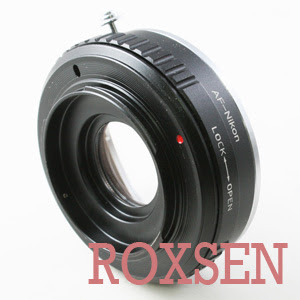 By using this adapter, you can use Minolta / Sony Alpha mount (not for MD mount) lenses on most Nikon SLR /DSLR film camera. It is also perfectly compatiable with all Nikon mount DSLRs. Aperture-priority works on most cameras, however a preset exposure compensation may be required on some cameras. This adapter is 1:1 adapter, however the magnication of the glass optic on the adapter is not exact 1:1. It is able to peform focus to infinite. It is 100% brand new and quality is guarantee.